I just came back from a little trip to my nearest Chinese grocery store. I wanted some healthy snacks so I got some dried fruit snacks. 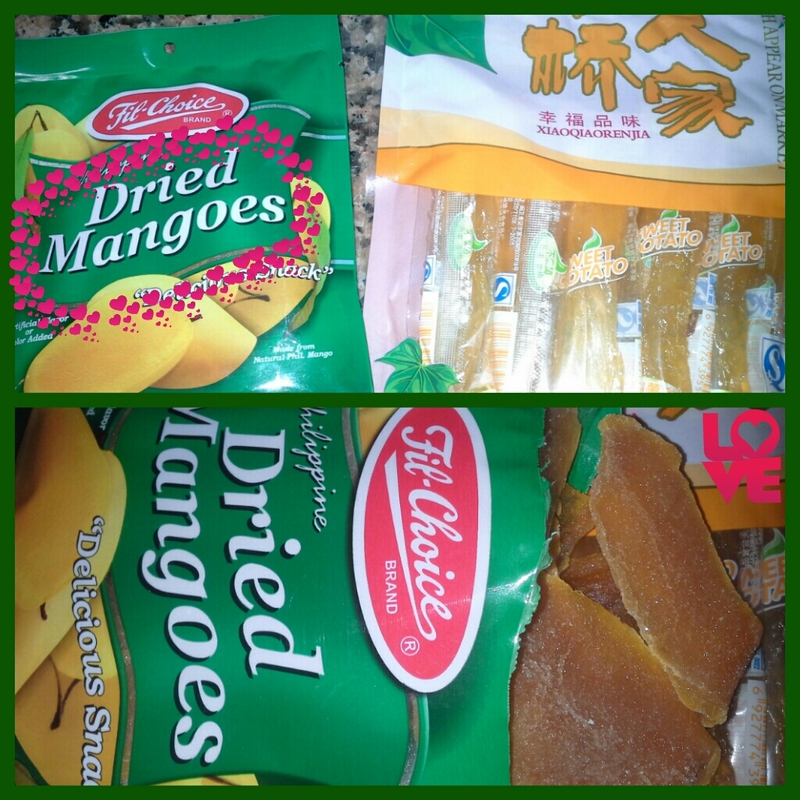 The dried sweet potatoes are not bad but the dried mangoes... OMG! They're so delicious!